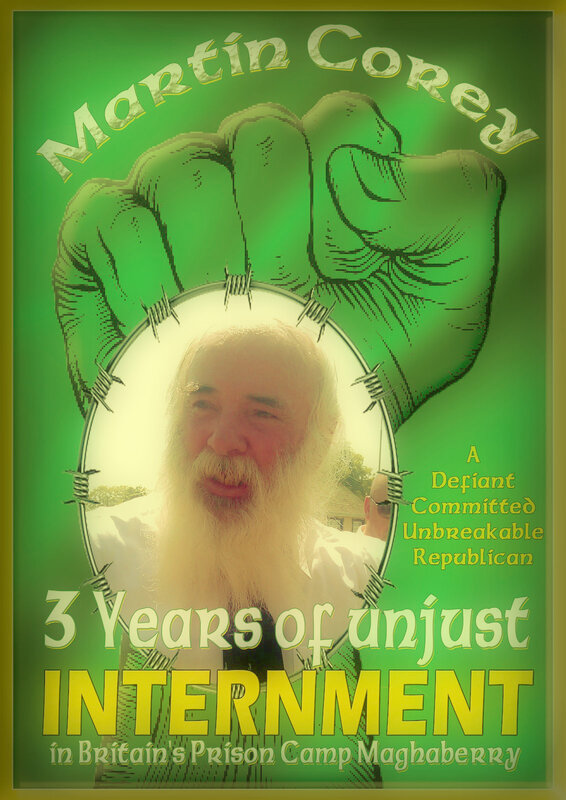 RELEASE MARTIN COREY NOW !Martin Corey is a Republican from Lurgan, Co. Armagh. He was sentenced to Life Imprisonment in December 1973. At that time he was only 19 years old. He was to spend the next 19 years of his life in jail until he was finally released without signing anything in June 1992. WITHOUT WARNING on April 16th 2010 he was taken back into custody. was given to Martin at the time or since his return to jail. This Website is to help secure his release and update on the situation - please sign the petition for Martin's immediate release.